Westlink 6L Automatic Feeder Review - Is It A Good Value For The Price? 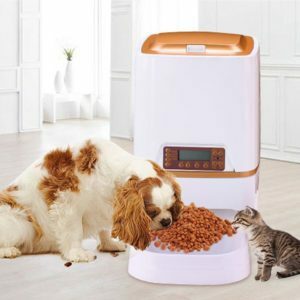 Westlink 6L automatic pet feeder allows you to feed your cat up to 4 times a day with customized portions and schedule, according to your cat needs. 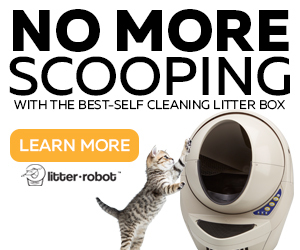 You can enjoy the peace of mind of having an automatic feeder that will take care of your cat while you’re away. 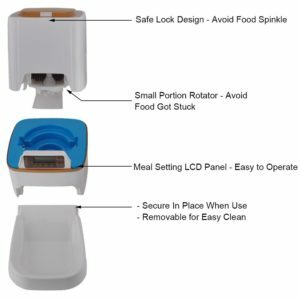 The Westlink automatic feeder has the ability to dispense from very small amounts of food up to cups of food at a time so you can keep your cat at a healthy weight. If you have power outages often, you will like to know that this feeder works with AC/USB adapter and batteries in conjunction so in case of a power loss the batteries ensure that the settings won’t be lost. The portion of each meal can be individually customized, the same with mealtimes. Each meal can be programmed in portions from 1- 39 portions, where 1 portion = 10-12 gr. 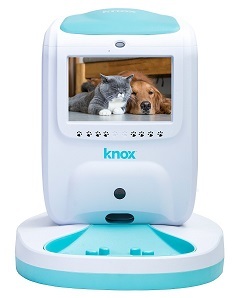 Voice/microphone recording feature to call your pet to eat (10-second message). 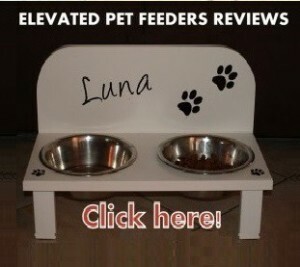 The feeder features a small portion rotator in the inside with slots that contain the portions. One small slot contains 1 portion, where 1 portion is equal to 10gr-12gr. Let’s say a meal is programmed with 3 portions, this means the rotator will rotate 3 times to dispense the food of 3 slots to complete the desired amount for this particular meal, which is 30 gr to 36 gr approx, depending on the kibble size and shape. As each meal can be set from 1 up to 39 portions, this means each meal can be as small as 10grs-12 gr or as big as 390 gr – 468 gr, approx. If a kibble is very small and flat, the amount dispensed will be larger. The Westlink feeder mechanism with a small rotator prevents the food from getting stuck and allows the feeder to handle different sizes and shapes of kibble, up to 0.39” dia (1 cm). 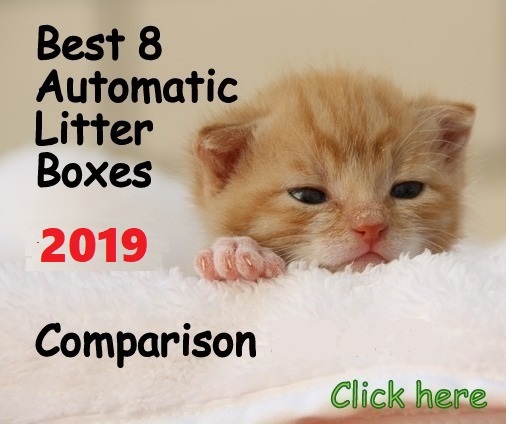 Westlink 6L automatic pet feeder needs to be programmed only once and this schedule will be repeated every day. You can’t program different feeding hours for a defined group of days individually with this feeder since it doesn’t feature that type of timer. 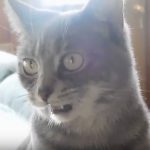 The one feeding schedule you entered in the unit will be the one that your cat will have every day until you decide to change it. 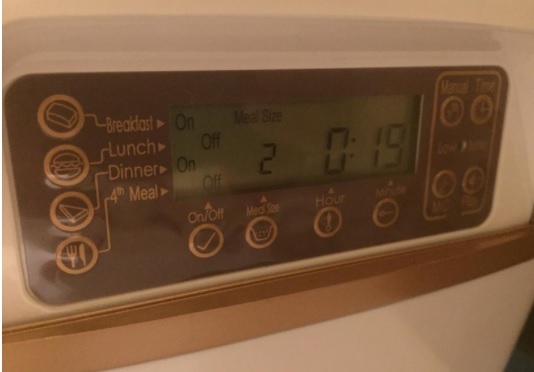 If you want to skip a meal or to stop the feeder on the weekends, for example, you can turn one, two or all meals off by a push of a button. 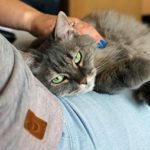 If you decide to give your cat a little snack, you push a button manually and feed your pet a portion or two in advance. The Westlink 6L automatic feeder works with AC/USB connection and also with 3D batteries that can be used in conjunction with the AC power so if a power loss happens, the feeder will retain the programming. Unlike other feeders that only work either with AC adapter OR batteries, the Westlink 6L works with both without affecting the feeder. Alkaline batteries should last at least one year with one cat. To program the feeder you need to test how many portions you will need to complete the desired amount of food for your cat to eat. You can do this by pushing the manual button to dispense the equal to 1 portion in a measuring cup and see how many portions are OK for a meal. Once you have determined how many portions you will feed your cat for each meal, you can program the feeder. 3 Step: Choose the # of portions for the first meal. 4 Step: Repeat with the next meals. WHAT ARE THE PROS & CONS OF WESTLINK 6L AUTO FEEDER? Easy to manage each meal individually, you can turn a meal Off/On if you want. You need to test the number of portions before programming the feeder. 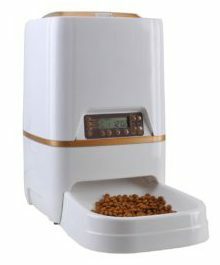 Westlink 6L automatic pet feeder is a product that works as described. 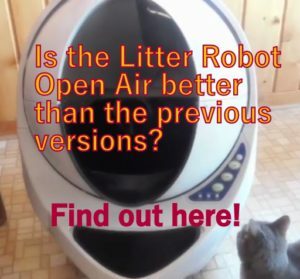 To program this feeder you will need to test how much you will want to feed your cat per meal, considering each portion is equal to 10 gr or 12 gr depending on the kibble. 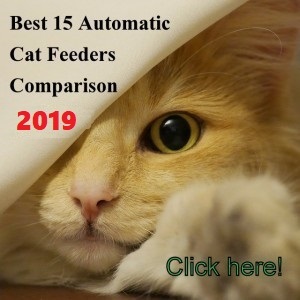 The Westlink 6L automatic feeder offers a good value for money and I would recommend it if you are looking for a feeder under $100.- and you want to feed two cats. This feeder may be too large to only feed a single cat, but it works well either way. In case you have an average cat weighing up to 9 lbs and you want to put your cat on a diet, I suggest you set up the feeder with 3 meals per day, choosing 2 portions each, completing a total of 70-80 gr approx. a day, assuming your cat eats small kibble and also considering extra wet food on your cat diet. 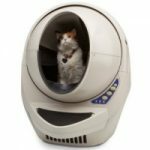 Hello Dini, if you are concerned about feline acne I suggest you to get the Petsafe Healthy Pet Simply Feed automatic feeder. 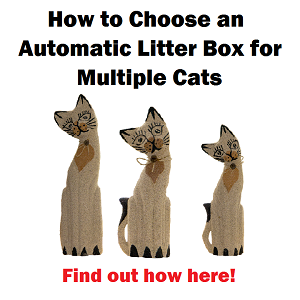 It is well rated and it works well for two cats. Used it under the carport for about two days. A raccoon found it and basically destroyed it. Stole the lid and chewed off the flexible flaps that help regulate the food flow. Now I can’t find parts to fix it. Worked great for two days. Hi Richard, I am sorry about what happened with that raccoon. Unfortunately, automatic feeders are not designed to be manipulated by wild animals and I understand your frustration. Raccoons have the ability to destroy almost anything if there is food inside. I hope you can find a better spot to place your cat’s food. Thanks for sharing your experience. Why is this one not in your top 7 list? 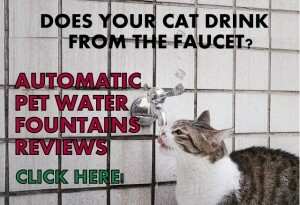 It sounds very good for 2 cats, which I have. Hi Suzan, I wait for at least 2 years before putting a feeder on the top list, that way I am certain the manufacturer doesn’t change the quality which sometimes happens. Thanks for your input!